that were going on but I am back on track this week. 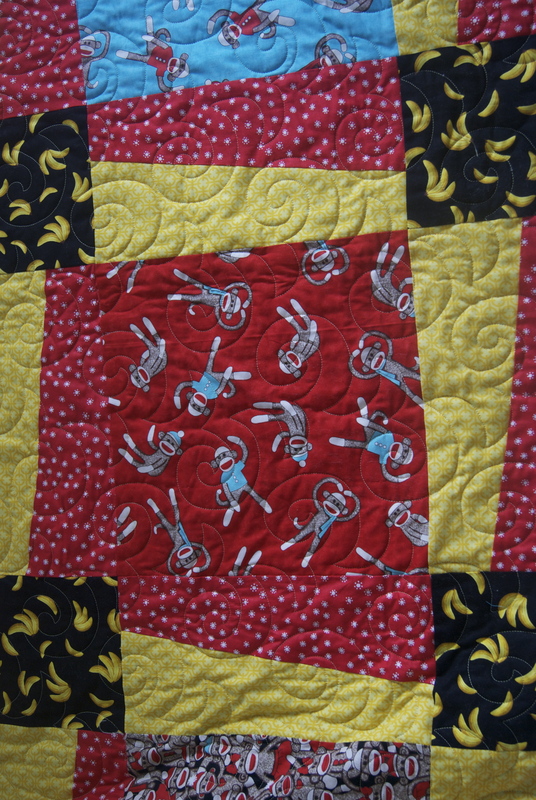 Lynn created this adorable Sock Monkey quilt. cool fabric. These sock monkeys are no exception. “Quirky.” What a great name for a design and it fits the monkeys perfectly. How can you not love these critters? Even the backing shouts monkeys. 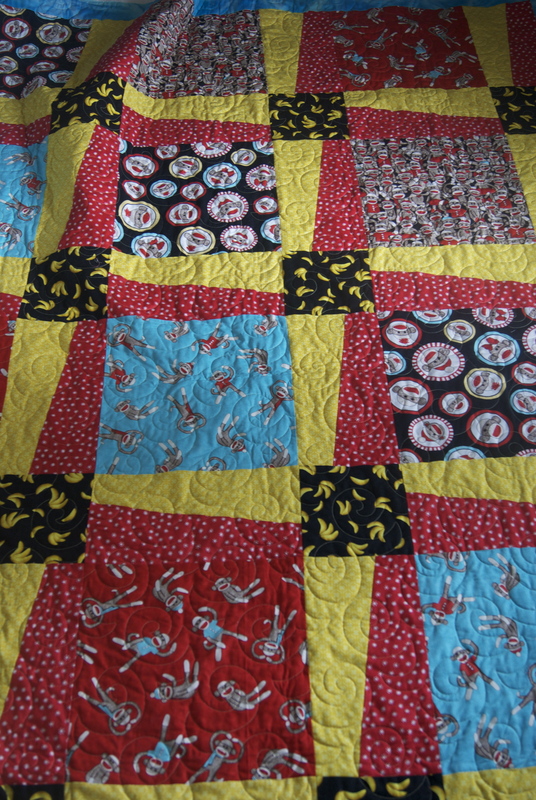 It is a pieced backing so it will seem as if the receipent is getting 2 quilts in one. yellow blends well with all of them. 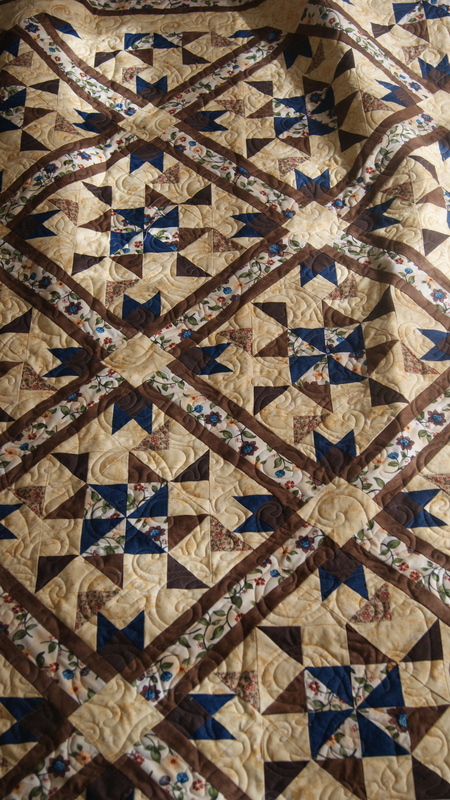 to the rectangular shapes of the quilt top. 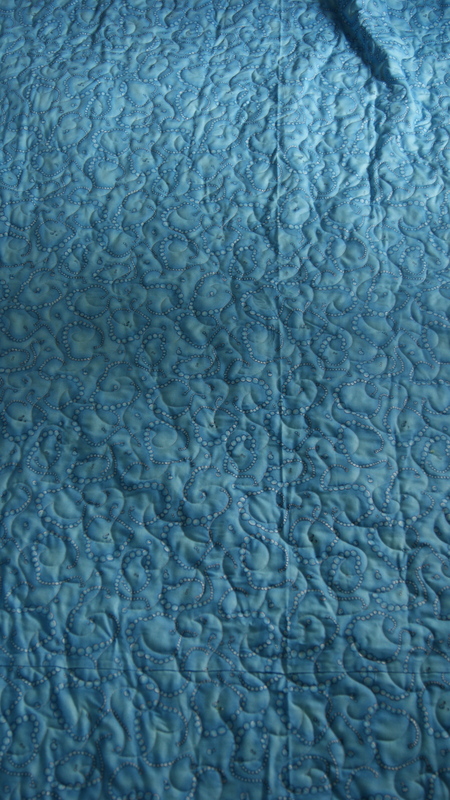 The backing consisted of a blue fabric and the stitching shows up nicely. Can you see the string of pearls on the fabric? with lots of piecing in it. The colors are really soft and beautiful. “Celtic Vine” as her all over pattern; a taupe polyester thread was used as well. 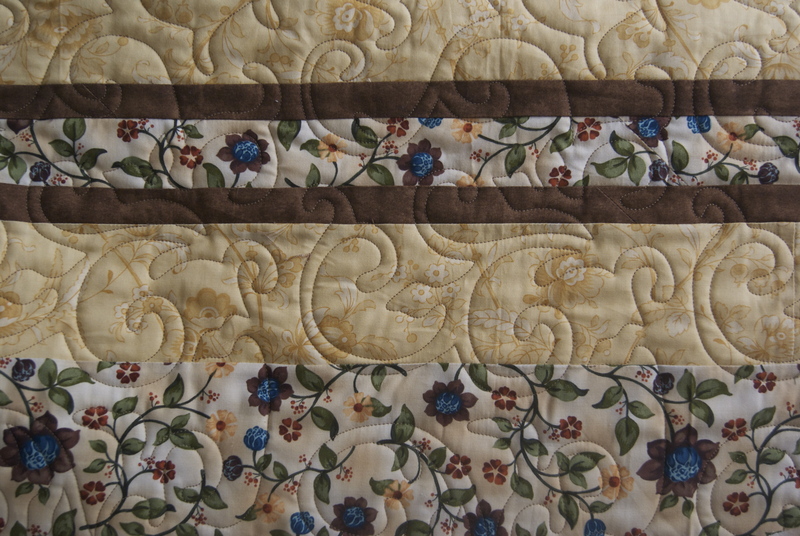 The taupe blends with all the colors yet isn’t too loud for the quilt. 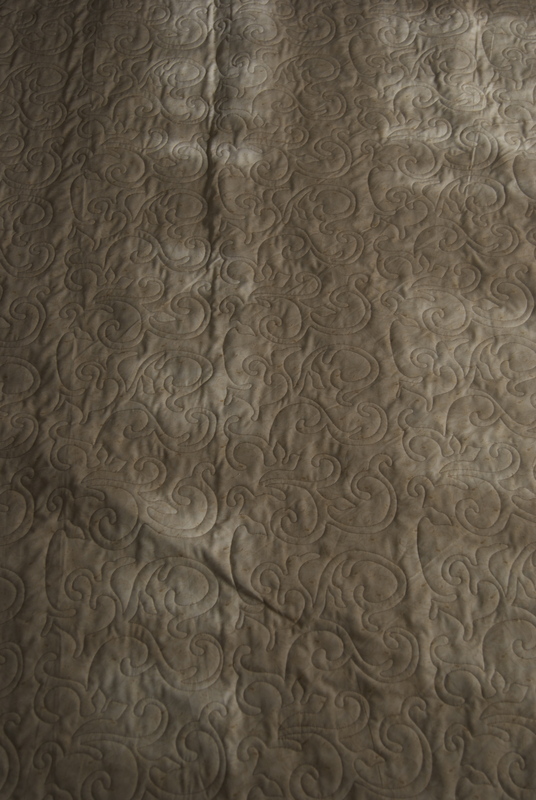 Here is the backing fabric, although a little dark. classy design that works well with alot of designs. 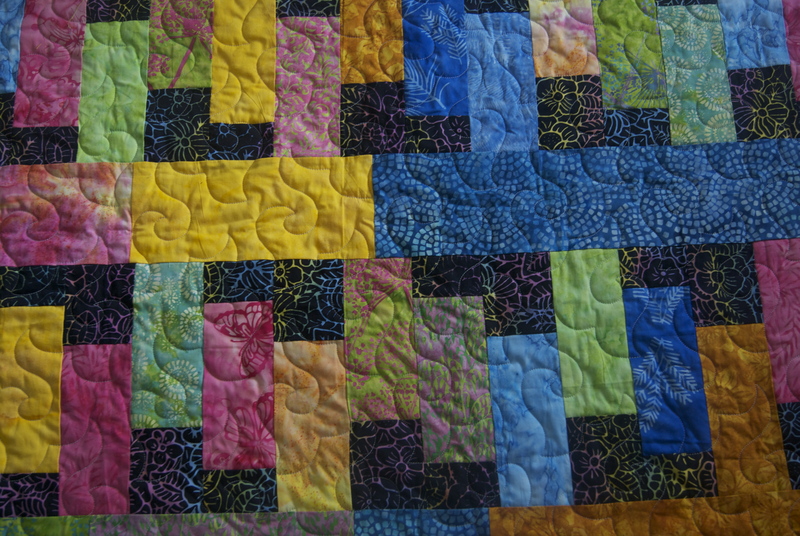 Beautiful quilts and quilting! Looks like you’re having a busy summer! Love your Sock Monkey quilt Lynn. 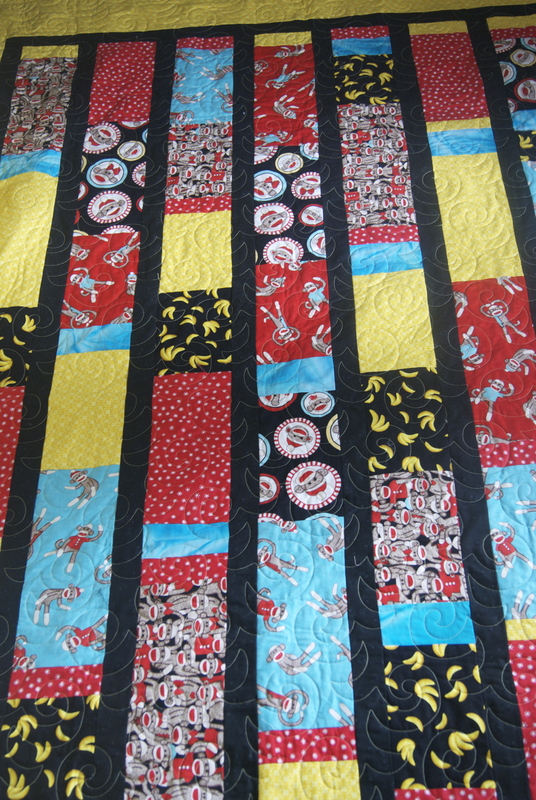 The wonky block done in red and yellow on the quilt front was such a great way to highlight your sock monkey fabrics! 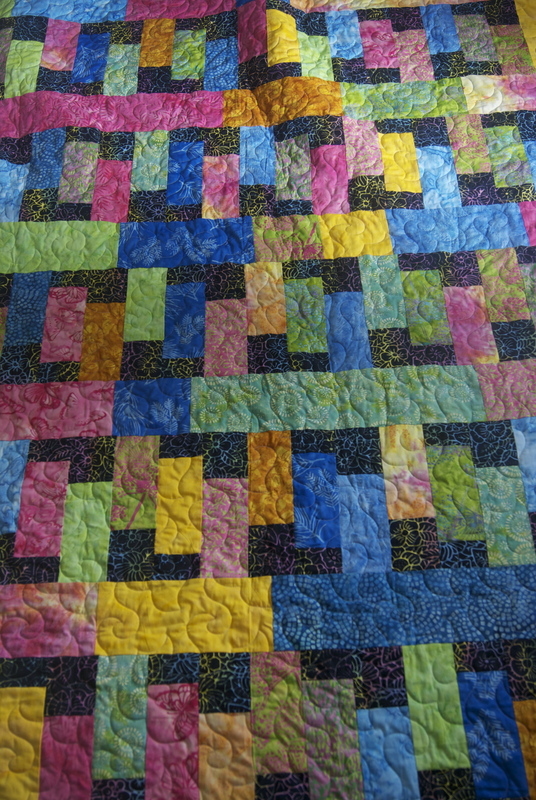 Both are lovely quilts – and I think the quilting designs compliment both so well! I really love the sock monkeys! I need to find some of that banana fabric – too cute!